Black Chick Lit offers affordable advertising opportunities for those seeking to reach a diverse audience of readers. This page lays out the guidelines, rates and contingencies for advertising on the Black Chick Lit Podcast. Any advertising agreements made with Black Chick Lit are contingent upon these guidelines at the time the agreement was signed. This guidelines may be updated at any time without notice. The most recent copy of our guidelines are available on our website. Past versions are available upon request. 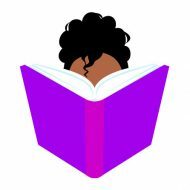 Black Chick Lit is a bi-monthly podcast whose mission is to support black authors and readers. Each month, Black Chick Lit releases two episodes: one book review and one bonus. Episodes air approximately every other week and lengths vary, but on average run between one to one-and-a-half hours. Black Chick Lit does not accept unsolicited book review requests, nor do we provide a pay-for-review model at this time. Black Chick Lit reaches hundreds of listeners a month, the majority of whom are educated (earned at least a high school degree) women who reside in the United States and the United Kingdom. Our audience is engaged with the book community and occupations include authors, librarians, educators and bloggers. Because Black Chick Lit is bi-monthly, ads will be approved and run within a one-month period. For example: if you purchase a 15-second, two-episode ad on March 15, your ads will play on both April episodes. At this time, Black Chick Lit is not able to guarantee an ad will run on a specific episode or date. We charge $15 for a 15-second ad and $35 for a 60-second ad. These rates are based on current industry standards for podcasts with our listenership and are subject to change as our podcast audience grows. However, you will be charged based on our rates at the time of signing our Advertising Agreement. You have a grace-period of seven days after the signing of the agreement to make any changes to your ad copy, cancel your ad for a full refund, or change the month your ad will play. After seven days, we can pull the ad, but are not able to offer refunds. What Type of Ads Does Black Chick Lit Accept? Your ads do not have to be for books, or book-related services. Our listeners are diverse and have a variety of interests. While the tone of BCL is chatty and fun, we do carry an explicit tag from Apple Podcasting (for language). While we will strive to read your ad copy as presented, the rest of the ad may contain strong language or sensitive topics depending on the book we’re covering. You should be mindful of this when choosing to advertise with us. Finally, we reserve the right to refuse any advertising proposal or ad-copy.